This is a modification of the TDD skin I made. It's minimal, simple and efficient. This skin is not maintained by Ph0x anymore. To get the latest version, search for "Minimal Steam UI (New)"
Sorry for my past behavior. Never used a custom skin for steam until now. 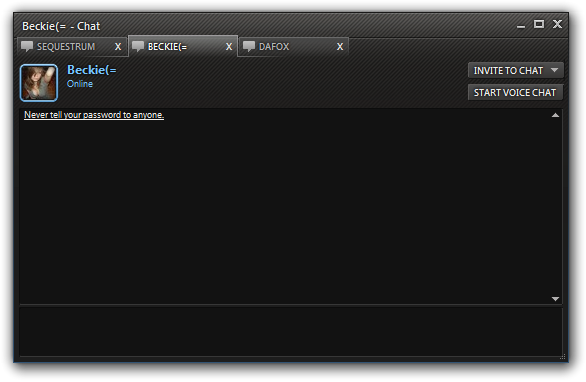 I must say I love the sleek finish for the Steam GUI. This skin is with out a doubt the best skin, I've ever seen. I downloaded it and promptly registered here so I could tell you how much I love it. It's great! It's like Steam's been reinvented for me. If you can fly too say weeeee!